Ever wonder how manufacturers get all the colours in the materials they are buying, to match exactly? They use a Pantone colour chart! If you don’t know what a Pantone colour chart is, stick around while I show you the Beauty of Pantone! 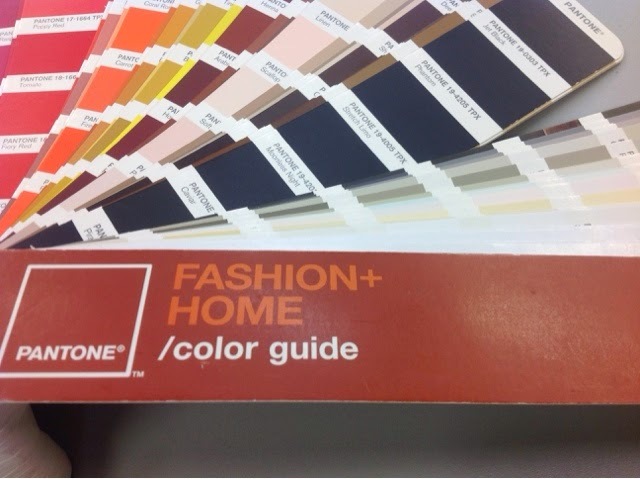 Pantone made a chart of over 1900 colours for fashion and home decor with specific names and colour codes. The Pantone colour deck cover looks like this. Inside are all the delicious colours..over 1900! Recently I ordered some elastics. I picked the colours on the chart that matched what we wanted, and we were able to email the Pantone numbers to the elastic mill. 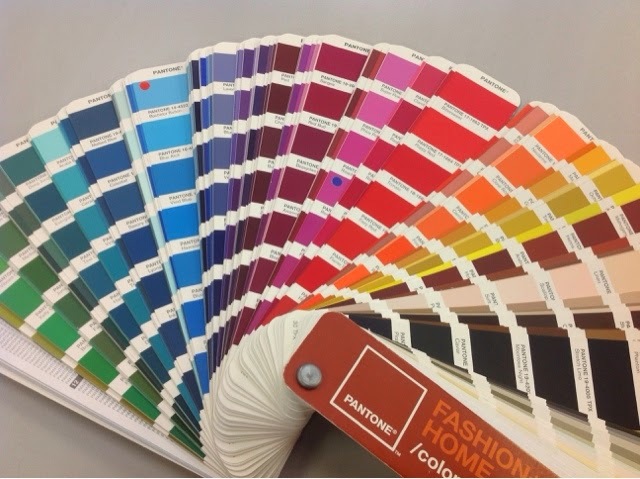 They also have a Pantone chart as do all the manufacturers that are working with fabric colours and dyeing. 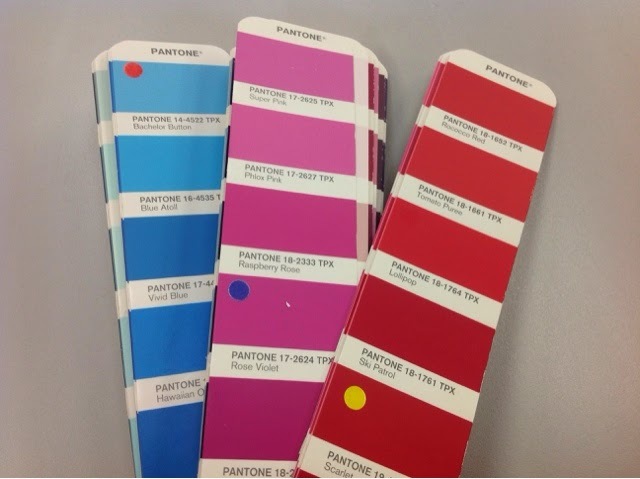 The Pantone charts are available internationally and have consistent colours to use as reference. The coloured dots I put there so I can remember which ones I ordered! Once the lab dips (3 samples of the actual elastic dyed to our colours) come in, we compare each to the Pantone chart and to the fabrics we are matching. One of the three lab dips will almost certainly be an exact match..the other two will be very, very close. When someone uses the expression “we are all matching from the same deck” that most certainly means all colours are matched from a Pantone chart. That’s the beauty of Pantone.